Superior management efficiency is at your fingertips with the Worksite Hawk, a marvelous innovation that allows you to be on the job 24/7, wherever you are. Whether you’re at the jobsite or on the opposite side of the world, the Worksite Hawk’s cutting-edge technology allows you to see not only what is happening, but what has happened. 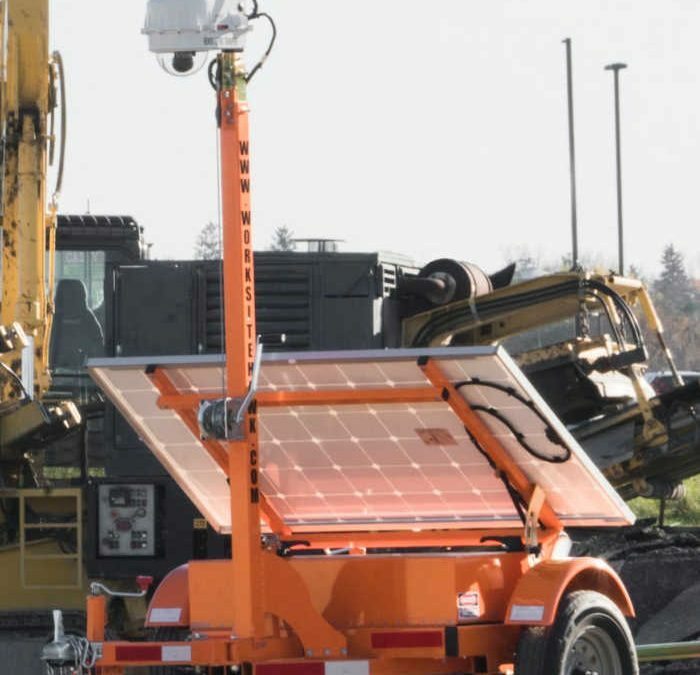 Through the Worksite Hawk’s PTZ camera, owners and managers can view a live feed of the job, allowing them to monitor important details such as employee activities, material deliveries, and more. All footage (over 6 months worth) is stored for future review, so you won’t have to take someone’s word about what happened on the jobsite, as the Worksite Hawk never lies. All of this can be done from your desktop, laptop, tablet, or smart phone, keeping you informed and your operation running at maximum productivity. We’d love to show you what the Worksite Hawk has to offer. To schedule your live Skype or FaceTime demonstration of the Worksite Hawk, call us at 319-415-1226, or email us at sales@CrossroadsMfg.com.